We're delighted to have Anna-Marie McLemore here to tell us more about her latest novel WHEN THE MOON WAS OURS. Anna-Marie, what did this book teach you about writing or about yourself? It taught me how long and how deeply I had believed there wasn’t space for characters like me on bookshelves. It took me several rewrites to let this book become what it wanted to be, the story of a transgender boy of color and a queer girl of color. What do you hope readers will take away from WHEN THE MOON WAS OURS? That everyone—the shy boy at school, the odd girl in the bright-painted house, the family whose history no one knows—has their own story. That queerness and transgender identity are as varied as the people they belong to. And that queer characters, transgender characters, and characters of color deserve fairy tales of their own. Right now I’m working on my fall 2017 book, WILD BEAUTY, the story of the Nomeolvides women who tend the beautiful but dangerous gardens that both protect them and curse them. 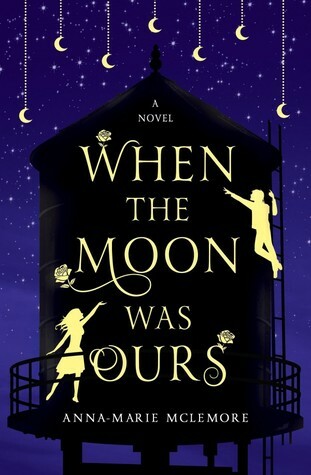 Have you had a chance to read WHEN THE MOON WAS OURS yet? If you don't see characters like yourself on the bookshelves, do you write them? Do you struggle with letting a book become what it wants to be? Share your thoughts about the interview in the comments!